Ultherapy may be the perfect choice for someone who wants concrete but subtle results from a non-invasive and safe skin rejuvenation procedure. Ultherapy is the only FDA-approved, non-invasive procedure that lifts the neck, chin, and brow. Without disturbing the surface of the skin, Ultherapy safely rejuvenates your appearance by using focused heat energy to stimulate the natural healing powers of your skin. In one 30- to 90-minute treatment, ultrasound therapy encourages your skin to produce more collagen and elastin. This in turn causes a natural lifting and tightening of the skin on your face and neck. 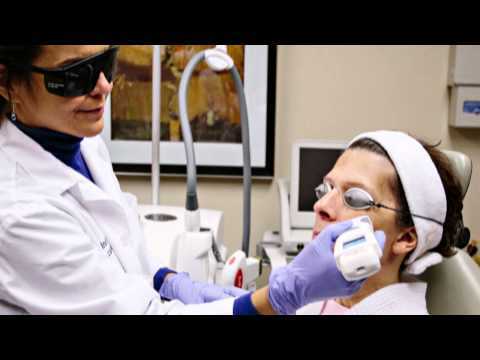 Why do people choose Ultherapy for their skin lifting and toning treatment? Ultherapy is non-invasive. There is no cutting, no lasers, no chemicals, and no needles. This means that there are fewer opportunities for complications, a shorter recovery time, and less discomfort. • Ultherapy harnesses the natural powers of your skin. Ultherapy delivers ultrasound energy below the surface of your skin, resulting in the production of more collagen and elastin – two proteins that lift and tighten your skin. It rejuvenates the skin without adding foreign substances to your body or disturbing the top layer of your skin. • Ultherapy is often more affordable than other options. Because of its non-invasive nature, Ultherapy is traditionally less expensive than surgical options. • Ultherapy requires little preparation and no recovery time. Unlike its surgical counterparts, Ultherapy doesn’t involve a large investment of time. Patients can go about their regular activities directly after the procedure and do not have to prepare for the procedure beforehand. • Ultherapy avoids drastic measures and radical change. Those who are looking for a skin treatment option that has subtle, natural results may prefer Ultherapy to a surgical facelift. Many see immediate results, though the full effect of Ultherapy takes several months to achieve as your skin continues to regenerate. What is the Ultherapy procedure like? Does procedure hurt? 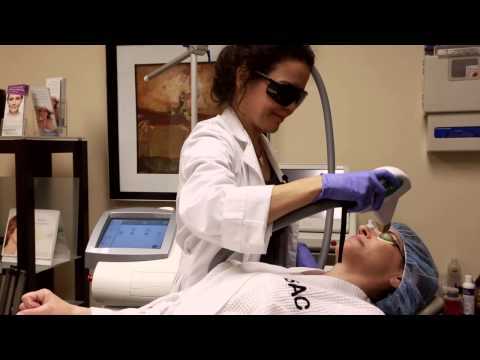 During an Ultherapy procedure, your doctor will place an applicator to your skin that is similar to other sonogram machines. An image of your skin layers will appear on a screen and your doctor will use this image to deliver heat energy to the lower layer of your skin – the same layer usually addressed in a surgical facelift. This heat will stimulate and rejuvenate your skin. Patients may feel some discomfort during the Ultherapy session – and you should speak with your doctor about any concerns you may have regarding your possible discomfort. After the procedure, which takes under two hours, you may return to your normal activities immediately. Some people may report a few hours of redness and a few days of tenderness and swelling. What results can I expect from Ultherapy? Many people see immediate results following one treatment. However, you will likely continue to see more improvements two to three months following your Ultherapy as your skin rebuilds and rejuvenates. Some report that their skin continues to become more toned and younger-looking up to six months after the procedure. According to an FDA trial, 90 percent of Ultherapy patients reported a significant lift in their browline due to increased skin firmness. Many also reported a decrease in skin laxity in the eyelid and chin areas. The Surgical Arts Centre’s Wellness Medical Spa is the only Ultherapy provider in Missoula. We offer free, no-obligation Ultherapy consultations to those who wish to learn more about the procedure. Find out if you are a good candidate for Ultherapy and get all of your questions answered by scheduling your free consultation today!